Does it feel like summer by y’all? Here it’s definitely feeling like summer with a hint of the spring torrential downpours. Lately, I have been spending a lot of time out in the garden getting hot and sweaty. There is nothing like a cold popsicle on a hot summer day!! Nothing! Especially when you have been working in the yard and need a break! Did I mention they are super easy and take minutes?? Directions: Add ingredients into a blender and puree. 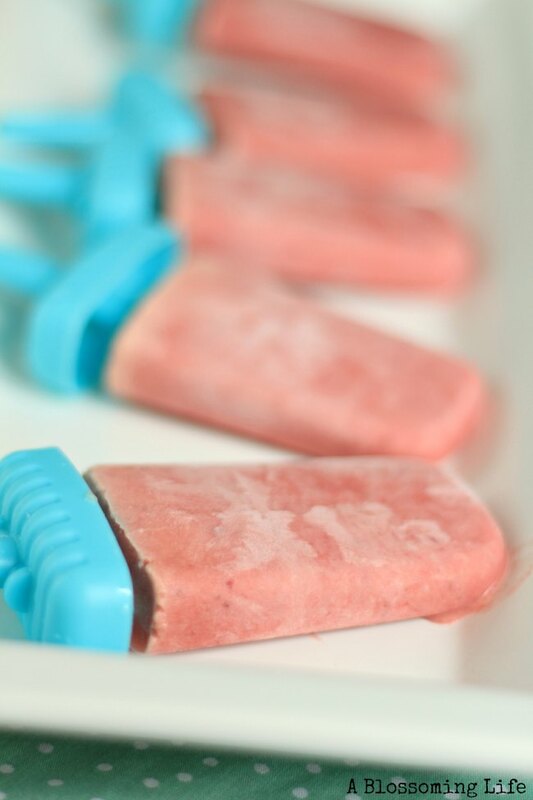 Pour into Popsicle Mold and freeze until solid, about 3 hours. 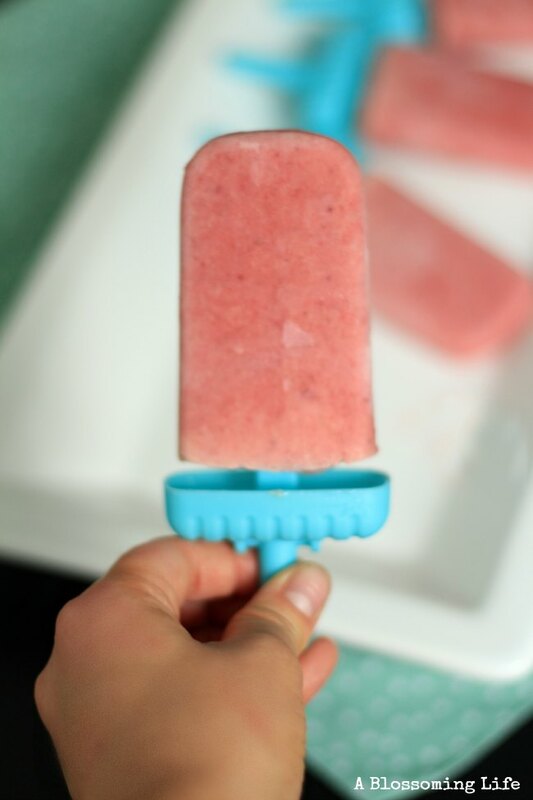 Enjoy your delicious and healthy popsicle! Could these get any easier? This will be really fun for the kids to eat and get involved in making them! Would you send me e-mail updates. Thank You! These look amazing! 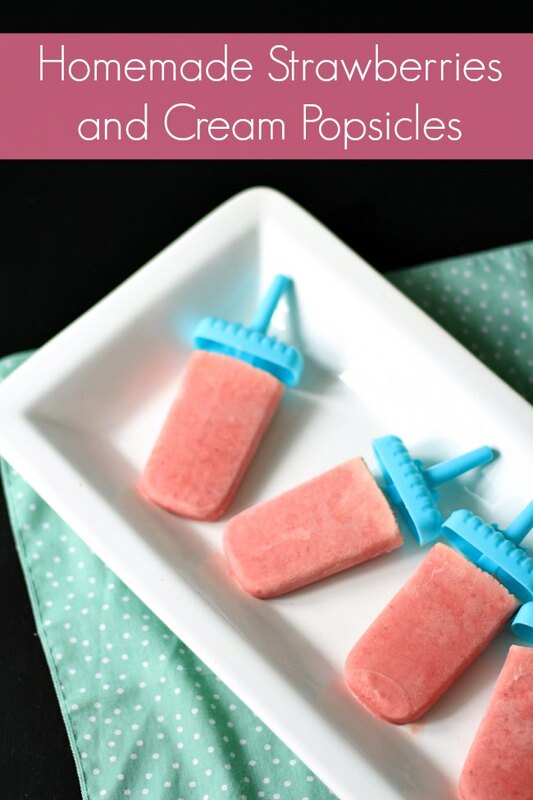 Definitely gonna get me some of these here Popsicles ! These looks super simple to make! Cant wait to try these! !